14 final-year undergraduate and postgraduate shows that are opening over the next 7 days from 14 June 2018. The Hanover Building’s three floors of purpose-built studio spaces showcase the Fine Art degree show with work in a variety of media, including painting, sculpture, print, drawing, artists’ books, sound installation, film and animation. 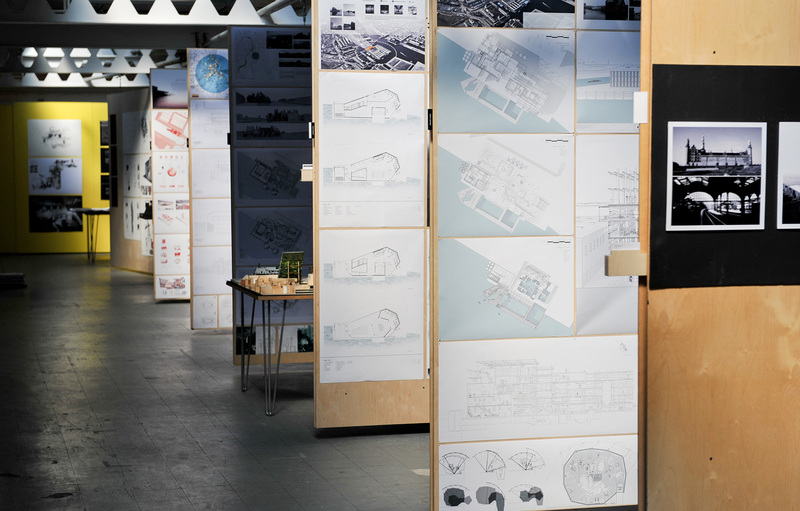 Also exhibiting across a number of venues in what is billed as the Lancashire Arts Festival, are final-year students from Architecture, Design, Photography, and Fashion/Media. PV 14 June, 15-22 June, Hanover Building, University of Central Lancashire, Bhailok Street, Preston, PR1 2XQ. 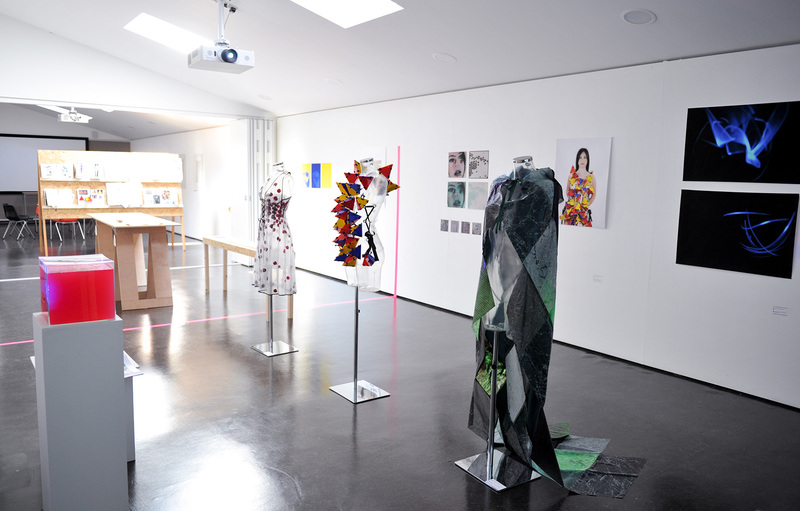 Bringing together a diverse array of courses, this is a chance to see final-year undergraduate works from the Fashion Marketing/Management, Fashion and Textile Design, Fine Art, Games Design, and Art and Graphic Arts courses. PV 14 June, 15-23 June, Park Avenue, Winchester, SO23 8DL. Final undergraduate shows from Fine Art and Media and Communications students. Students from the MA Art Psychotherapy also present the exhibition, ‘Holding Space’, which ‘reveals some of the hidden and intimate processes of art psychotherapy’. PV 14 June, 15-18 June, Goldsmiths, University of London, London, SE14 6NW. With a wide range of creative courses ranging from Fine Art to Film and TV, and also including coding, this degree show features communications and business graduates alongside a new cohort of artists, makers and designers. 14-23 June, Ashley Road, Epsom, KT18 5BE. A showcase of works by graduating students from the Fine Art and Theatre and Screen BA courses in Painting, Print & Time-Based Media, Sculpture, Costume Design, Costume Interpretation, Set Design for Screen, Technical Arts & Special Effects /Theatre Design. PV 14 June, 15-23 June, Merton Hall Road, London, SW19 3QA. Titled ‘Unfinished Business’, this exhibition presents work by graduating students in BA (Hons) Fashion and Textiles, Fine Art, Graphic Design, 3D Design and Craft, and Photography. 15-18 June, Colchester Institute, Sheepen Road, Colchester, CO3 3LL. University of Suffolk’s School of Art, Design and Humanities End of Year Show 2018 includes works from the Digital Film Production, English, Fine Art, Graphic Design, Interior Architecture and Design, and Photography courses. 15-21 June, Long Street, Ipswich, IP3 8AH. Fine Art and Photography students showcase their work in The Priestman Building, while Animation, Advertising, Games and App Design, Fashion Product and Promotion, Graphic Design and Illustration are at CitySpace Studios. Elsewhere, the Glass and Ceramics students are very much at home in the National Glass Centre. PV 15 June, 16-22 June, Edinburgh Building, City Campus, Chester Road, Sunderland, SR1 3SD / The Priestman Building, 6 Green Terrace, Sunderland, SR1 3PZ. The port city of Aberdeen is home to Gray’s School of Art and Design’s annual degree show featuring works by final-year students from a range of creative disciplines such as Fashion, Moving Image, Painting and Photography. PV 15 June, 16-23 June, Garthdee Road, Aberdeen, AB10 7QD. Sited adjacent to Tate Britain in the grand riverfront premises of the former Royal Army Medical College, the purpose-designed studios of Chelsea College of Arts presents the degree shows of Fine Art, Graphic Design Communication, Interior and Spacial Design and Textile Design students. PV 15 June, 16-23 June, 16 John Islip St, Westminster , London, SW1P 4JU. As with the Epsom campus, there is a diverse array of new work in art, design, architecture, media and communication at the Canterbury campus’s undergraduate final-year showcase. Draughtsmanship has a strong presence at Camberwell College of Arts’ annual Undergraduate Design and Fine Art Summer Show 2018, with works from final-year students in Drawing, Graphic Design and Illustration, showing alongside painters, photographers, sculptors and 3D designers. PV 18 June, 16-23 June, 45-65 Peckham Road, Camberwell, London, SE5 8UF. This year’s Fine Art and Design degree show is called ‘Under Construction’, referencing the nature of art practice today and the usually private space of the studio. 45 students reveal their works to the public. 19-30 June, The Peter Scott Gallery, Lancaster University, Lancaster, LA1 4YW. For the second of Central Saint Martins two summer shows, it’s the turn of designers, makers and performers from a variety of courses including Spatial Practices and Product, Ceramic and Industrial Design. 20-24 June, 1 Granary Square, King’s Cross, London N1C 4AA. 3. Fine Art Studios, UCC School of Art, 2017.